Being arrested for a DUI can have serious repercussions, but the steps you take in the immediate aftermath of your arrest can have important implications for your case. 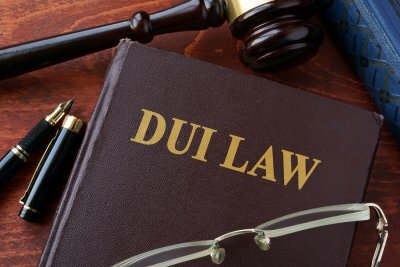 The first step is to call an attorney in Baltimore with experience in DUI cases. If you find yourself facing a DUI arrest, these do’s and don’ts will help you protect your rights and mitigate the fallout. After an arrest, most people know that they shouldn’t discuss their case with the police without an attorney present. What many people don’t realize is that you shouldn’t discuss your case with anyone except your lawyer until it has been settled. Giving details about the circumstance of your arrest and your actions leading up to it could end up being harmful to your case if you say something incriminating that is repeated to prosecutors or the police. Keep all of the details of your case between you and your attorney until it has concluded. You and your attorney will need to work hand-in-hand on preparing your defense. In the aftermath of your arrest, it can be helpful to write down everything you can remember about your arrest, including details about your interactions with the arresting officers, what kind of instructions they gave you, and how your sobriety test was conducted. This information will help your attorney determine if your arrest was legal and if your rights were violated in any way. Throughout your case preparation, provide your attorney with any information that is requested as quickly as possible, and attend all meetings and court dates. If your license is suspended after your DUI, do not drive. If you are caught, the consequences can be severe and may include significant fines, additional license suspension time, and incarceration. Your attorney can help you negotiate with the court to get permission to drive for necessary trips, such as to work or to pick up your children from school. When you consult a workers’ compensation lawyer in Baltimore, you may hear the term “vocational rehabilitation.” Vocational rehab may be available as part of your workers’ comp benefits. Its purpose is to provide you with the services you need to re-enter the workforce. 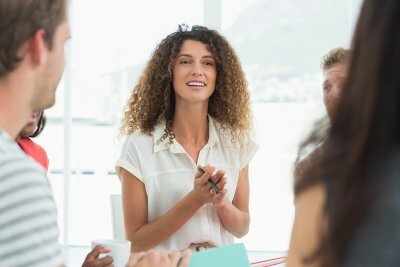 If you aren’t sure whether you qualify for vocational rehab or if you have a disagreement about the services being provided, your workers’ compensation attorney can assist you. Vocational rehab is available to injured employees who are unable to return to their previous work because of a qualifying workplace injury. Even when a person can no longer perform his or her previous work, he or she may be re-trained to fulfill another position. If you cannot return to work in any capacity, you may be a candidate for Social Security disability benefits instead of vocational rehab services. Before receiving vocational rehab services, the workers’ comp insurance carrier must agree that you are qualified to receive them. If your workers’ comp refuses vocational rehab services, talk to your lawyer. He or she may request a hearing to appeal this decision. The services you can receive are dependent upon your specific needs. Generally, vocational rehabilitation can include aptitude or skills testing, vocational counseling, job training, and job placement services. You might also receive on-the-job training when you begin your new job. In Maryland, injured workers can turn to either a public or private rehabilitation counselor. Public counselors work through the Maryland Division of Rehabilitation Services (DORS). When you’re assigned a rehabilitation counselor, you must advise him or her of your workers’ comp claim. Your vocational rehabilitation will begin with an in-depth interview with your assigned counselor. You can expect to answer plenty of questions about your background, including your education, certifications, professional licenses, and other credentials. You’ll also answer questions about your employment history, and any of your personal interests or hobbies that may influence the course of your future career. The counselor will consider your physical limitations or other aspects of your disability. Based on this information, your counselor will develop a personalized rehabilitation plan that includes actionable, specific goals. If you do not agree that the plan and its goals are appropriate for you, the plan will be submitted to a commissioner. 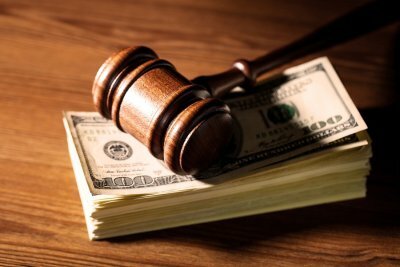 Is Your Accident Settlement Offer Too Low? Even if you have been involved in a previous car accident in the Baltimore area, you may find it overwhelming to deal with the many details of securing compensation. It’s a good idea to speak with an injury lawyer even if you aren’t sure whether you will file an accident injury lawsuit. Your lawyer has plenty of experience dealing with insurance carriers. He or she will help you secure a generous accident settlement. It’s to be expected that the first accident settlement offer you receive will be the lowest amount that the insurance adjuster is authorized to offer. Insurance is a business and, as with any business, the insurance adjuster’s goal is to improve the company’s bottom line. Unfortunately, far too many car accident survivors take the first offer they get because they’re unaware that it’s negotiable or because they lack negotiating skills. This is another benefit of hiring an injury lawyer; he or she knows the most effective strategies to use to negotiate with the insurance adjuster. Before deciding whether subsequent settlement offers are too low, you’ll need an estimate of your losses. Calculating your losses can be more difficult than you might think, but your lawyer can handle this task for you. The settlement offer should be substantial enough to fully cover your out-of-pocket medical costs such as diagnostic tests, surgeries, hospitalization, physical therapy sessions, and pharmacy co-pays. Depending on the nature and extent of your injuries, you might also require durable medical equipment and perhaps the services of a home health aide when you leave the hospital. Your vehicle may have sustained minor damage or it might be a total loss; either way, you deserve full compensation for the damage. The settlement offer should be high enough to restore your car to the condition that it was in prior to the crash. If the vehicle was a total loss, your lawyer will ask for a settlement offer that includes the fair market value of the car. Your settlement offer might even include your rental car or other transportation costs that you incurred after the crash. Keep in close contact with your lawyer throughout the process and advise him or her of any new expenses you incur.